This slow and bewitching piece is sung by Cecilia Krull who, like Guitar Pro, has its roots in northern France. Cecilia’s father, also a musician, is originally from the Hauts-de-France region. Passionate about jazz, the singer is at ease in all kind of music. We are looking forward to listening to her first album, which should be released soon. The official video clip of “My Life is Going on” has reached more than 30 million views on Youtube! Here is a live version on the Portuguese radio Rádio Comercial. This version is obviously easier to play than the fingerstyle tablature, even if you will have to master bar chords to play it correctly, with the B minor chord (Bm) for instance. You can play this arpeggio accompaniment with or without a pick, depending on what sound you are looking for. 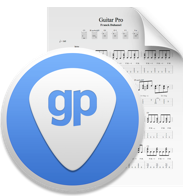 To view the Guitar Pro 7.5 chord gallery, press the A key. In this version, you’ll have to play the accompaniment in arpeggios and the vocals notes at the same time. All the bass notes have to be muted (P.M) with the right hand and let ring the notes from the theme. The main difficulties are in the hammers and pull-offs, which are not easy to play in that context. 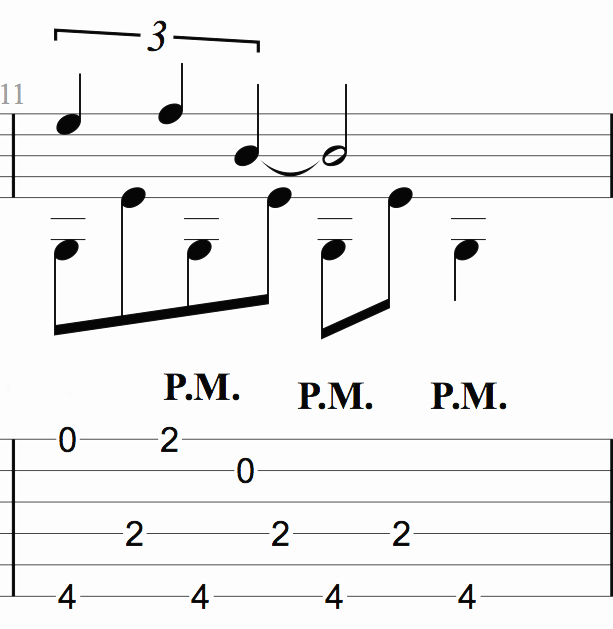 Take a look at the triplet of quarter notes at the 11th bar, if you aren’t used playing those, listen carefully to the Guitar Pro file to play them correctly. Cecilia, how was born the song “My Life is Going On”? Was it one of your personal songs or were you only supposed to play the opening credits? The song “My Life is Going On” was specially composed for the series. It was the composer Manuel Santisteban, with whom I have been working for about ten years, who called me to talk about this new project called “La Casa De Papel”. Can you tell us about the guitarist who is playing on the original version of “My Life is Going On”? Yes of course, it’s Manuel Santisteban who played all the parts on a keyboard! He is a talented pianist and composer. Why have you chosen to make a remix of the song? We wanted to do a remix to give more energy to the song so that it would be easier to dance on it. What is your favorite guitar song? Do you play the guitar? I don’t play it but I love jazz, I’m a fan of the guitarist John Abercrombie. I also like the classical guitar, I listen to Paco de Lucia for example or Vicente Amigo. I particularly like the song: Tres Notas Para Decir Te Quiero. Were you invited to the shooting of the series? No, I haven’t been invited to this shooting. However, I have alreay been invited for other series for which I sang the credits, for example with the series “Locked Up”. And I also participated in the shooting. Are you preparing an album? Yes, I’m currently working on new titles. The album will probably be released in 2020. What are your next dates and your musical projects? Learn to play ‘Game of Thrones’ on the acoustic guitar. Nice transcription of a beautiful musical composition. I have not picked up a flat pick in years so the fingerstyle arrangement was a pleasant surprise!!! Thank you!